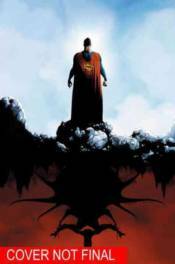 The worlds of Batman and Superman clash as something terrible happens to the World's Finest team, and a Dark Knight who is not quite himself must team up with Lois Lane to find a missing Man of Steel. Meanwhile, Selina Kyle encounters a person of amazing strength who has no idea who he is. Collects issues #10-15.